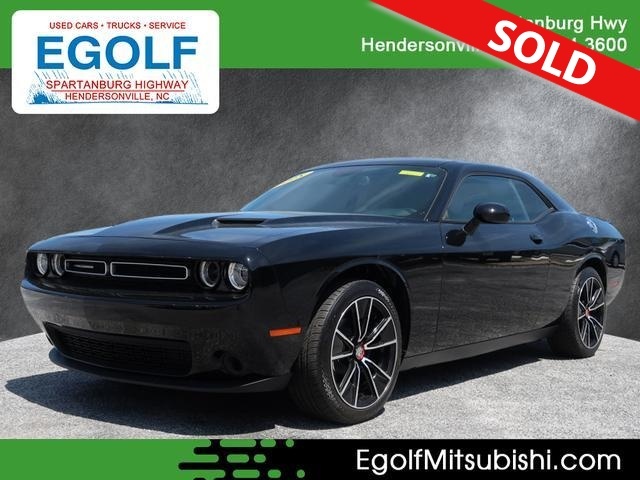 2018 DODGE CHALLENGER SXT COUPE, AUTOMATIC TRANSMISSION, REAR SPOILER, AFTERMARKET CENTERLINE WHEELS, REMOTE KEYLESS ENTRY, ONE OWNER, CLEAN AUTOCHECK HISTORY REPORT AND MUCH MORE. PLEASE CONTACT EGOLF MITSUBISHI SALES AND SERVICE @ 828-694-3600 FOR MORE INFORMATION AND TO SCHEDULE YOUR TEST DRIVE TODAY @ 1325 SPARTANBURG HIGHWAY, HENDERSONVILLE NC 28792. FINANCING AVAILABLE FOR ALL CREDIT TYPES! !.